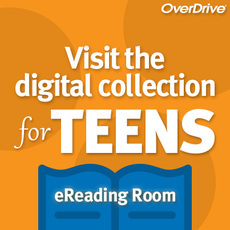 Welcome to the Teen Room on the Ground Floor of the library. Here you will find all of our young adult materials including fiction, non-fiction, graphic novels, manga, audiobooks, and video games; DVDs and CDs have been moved to the First Floor. It's a great place to hang out with friends while browsing the new releases. Debbie is the Library Assistant in charge of Teen Services. Check out the programs below that are designed specifically for teens. Teens will be meeting to help plan additional programs as well as give suggestions for new items for the library collection. Refreshments will be served. Registration not required. Enjoy some time with friends playing the XBOX 360 on Mondays at 3:30 PM in the Story Room. No registration is required and is open to youth 11-17 yrs. Click here to see when Teen Gaming is in session! During the school year, join us in the Teen Room every Thursday from 3:30-4:30 PM! We'll have different activities, games, crafts, and more every week. Feel free to bring a friend! No registration is required. For ages 17 and under, click here to learn more about this program. If you are already a Super Reader, click here for the challenges and tips page.